After leaving South Africa, creating several estate gardens on Long Island, and gardening in the Bahamas for a time, Alan Chadwick was adrift again. He planned on going to either New Zealand or Australia, and living as a recluse, gardening alone. His life was about to change forever though, as during his travels he stopped in San Francisco in early 1967. The University of California at Santa Cruz (UCSC) had opened a few years earlier with the goal of having a more open, egalitarian relationship between students and faculty and a new approach to education. Freya von Moltke’s close friend, Eugen Rosenstock-Huessy, a linguistics and philosophy professor from Dartmouth, was a visiting teacher at UCSC at this time, and she came to visit him. 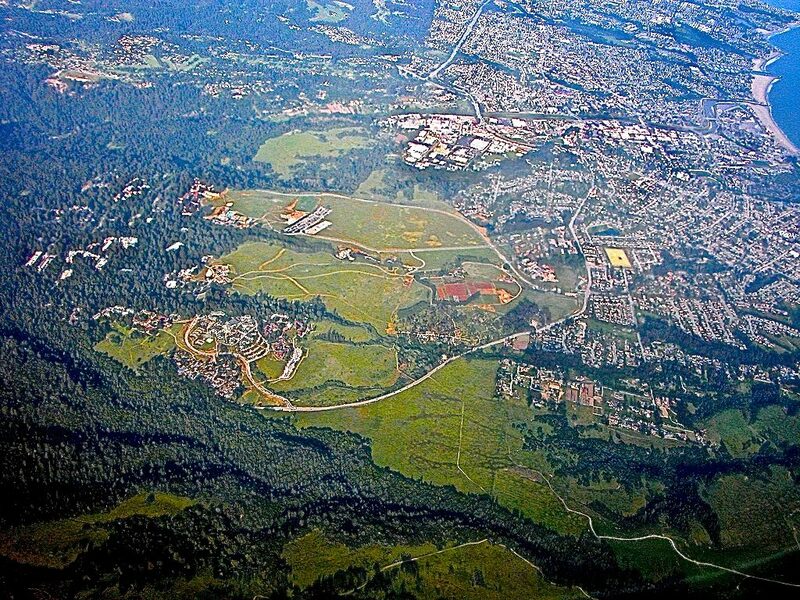 Page Smith, a history professor, was then the provost of Cowell College at UCSC, Don Nicholl a professor of religious history, and Paul Lee, a philosophy professor, discussed what might give the new campus a genus loci, a grounded spirit of place. Don Nicholl had just given a talk about his friend David Jones and Jones’ view of a sense of place. Nicholl suggested that there are three ways to ground the new university to the land: create a statue of the goddess of the land, build a bell tower, or build a garden. Alan met with Paul Lee, chose four acres on a steep, rocky clay hillside covered with poison oak and chaparral, and began in March of 1967 with only a fork and spade, and a few student helpers to dig all that summer, and begin building what is now the Chadwick Garden at UCSC. Author Robert Howard, in his book What Makes Crops Rejoice writes, “For the next two years, without taking a day off, this 58-year-old man worked from dawn to dusk every day of the week. Those who were there say he worked more heroically than they had ever seen anyone work before.” Alan stayed on in Santa Cruz from 1967 to 1972, gathering apprentices to help build the garden and demonstrate a totally unique approach to horticulture and gardening. Flowers were given away, vegetables and fruit were shared freely, and a vital abundance was created, inspiring many people to look at gardening in a whole new way. Alan’s artistic temperament also contributed to the growing rift and ensuing difficulties. The UCSC Farm Project began without Alan in 1971-1972. After giving a brilliant series of ten public talks in 1972, Alan was asked to leave, and he finally left the university. It was a heart-wrenching time for him, yet he went on to create gardens in Saratoga and at Green Gulch farm in 1972 and 1973.